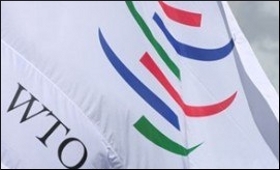 An informal World Trade Organisation ministerial meeting began on Monday, in New Delhi. Commerce Minister Suresh Prabhu welcomed Directorate General of WTO Roberto Azevedo, and ministers and delegates from around 50 countries to New Delhi for attending the Informal WTO Ministerial Meeting on 19-20 March. A cultural program, “Sangam”, showcasing India’s classical dance forms was enjoyed by the delegates attending the meet. Indian classical dance forms from four different parts of India: Odissi from east, Kathak from north, Bharatanatyam from south and Manipuri from north-east, showcased India’s unity in diversity to delegates from around 50 countries participating in the meeting. The grand finale showcased India’s tribal dance “Chhau” of east, “Kalbelia” and the playful dance “Dandiya” of the west. The cultural evening was followed by dinner. The cultural program was an icebreaker for tomorrow’s informal discussions.